AllegroMedical.com presents The Valine Amino Acid Supplement . Valine Amino Acid is a powdered medical food in a carbohydrate base. 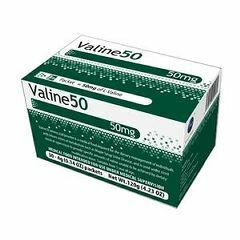 Each 4gm packet of Valine50 provides 50mg of L-Valine. Mixed in with protein substitute. Incorporated into other permitted food or drink. Suitable from one year of age.